Sandy Fowler, co-founder of Dasium (www.Dasium.net) joins us to discuss the difficult topic of military teens and the additional stressors military life brings to the teens and adults who also serve. With her business partners, milspouse Judy Davis and her son Geoffrey Davis, they are devoted to educating parents and teens about healthier choices and raising resilient children – military or civilian. Teen suicide is now the second leading cause of death before adulthood (passing homicide) and military teens are twice as likely to be diagnosed with depression than their civilian counterparts. Opening these topics for discussion bring together the three most important elements to strong mental health: communication, connection, and belonging. Dedicated to talking with groups about the behavior health risks among youth, Sandy, Judy, and Geoffrey speak frequently to colleges, military bases, and youth groups of all kinds about the risks — and the warning signs. 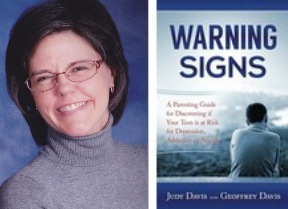 Judy and Geoffrey are authors of Warning Signs, a book sharing their personal story of triumph over addiction, depression, and suicide attempts. Listen to the show by clicking below, or download the podcast here 24/7: http://bit.ly/TeenRisk. Also available on demand in iTunes podcasts under Military Network Radio. Air date, 10May2016.